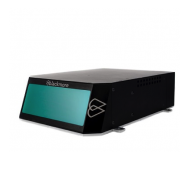 Doppler lidar for automotive applications leader, Blackmore Sensors and Analytics, has added two new product lines. The Blackmore AFDL, a Doppler lidar system specifically designed for autonomous fleet deployment and the flexible Blackmore LDP, a development platform for early deployment into emerging autonomous markets such as long-haul trucking and air taxi systems. The products address the massive demand for smarter, interference-free lidar solutions across the automotive market and beyond.